"Pet CPR & First Aid for First Responders" presented by Tom Rinelli of Paws N Claws 911 on Thursday, March 29th from 7-9:30 PM. 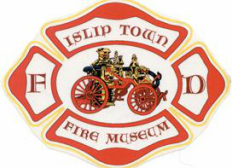 Class will be held at the Islip Town Fire & EMS Museum and Education Center located at 4 Courthouse Drive in Central Islip (directly across from the Long Island Ducks baseball stadium - use "Bethpage Ballpark" for GPS). Free parking is available in the county parking lots located immediately west of the museum. to assist pets in the event of an acute injury or illness at an emergency scene. Hands-on skills practice will include emergency muzzling and restraint, vitals signs assessment, CPR (all size dogs and cats), choking management in conscious and unconscious pets and hemorrhage control (tourniquets, impalements). The lecture portion will highlight common medical emergencies encountered in pets (seizures, poisoning, etc.) and the associated treatment. ​Tom Rinelli is a seasoned veteran of pre-hospital emergency medical services with over 25 years field experience in both urban and suburban settings having been assigned to high crime, high call volume response areas in the New York City and Long Island regions. ​a 100% pass rate for those who gained certification as a New York State Emergency Medical Technician. ​CPR and First Aid. To date, he has trained over 600 students from all walks of life (including the United States Coast Guard).